Offering a unique blend of skills and knowledge, this new course is aimed at anyone who wants to learn about the business of fashion but also has a desire to design and make. 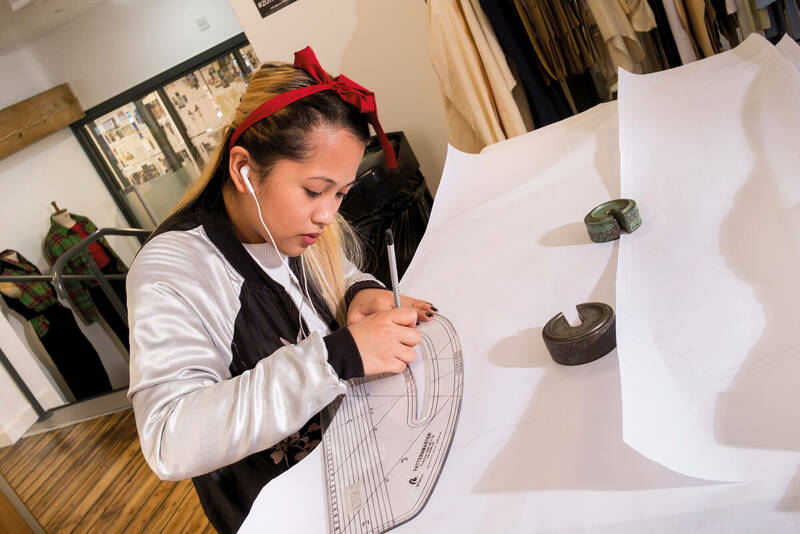 This course will help you develop fashion design skills, and expand your knowledge of key business aspects through a combination of creative and practical study. The Fashion and Fashion Marketing course is for anyone wishing to be both creative and strategic. It is designed for those who want to learn about the business of fashion but have a desire to design and make. Ultimately, this course is for anyone wishing to pursue a fashion marketing centric career. You'll gain a valuable insight into the commercial elements of the fashion sector, from an integrated perspective encapsulating emerging fashion design and marketing concepts. This new programme of study amalgamates expertise from the University of Derby’s School of Arts and College of Business, Law and Social Sciences. 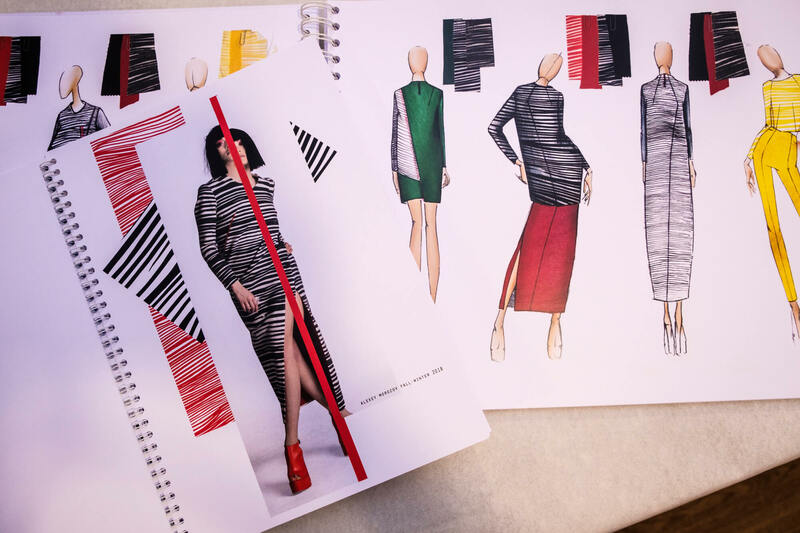 You’ll be taught in a professional fashion design studio environment supported by the latest online learning facilities. You’ll be encouraged to participate in national and international competitions – several of our recent students have won national competitions over the past few years. You’ll also have the chance to undertake live project work within the existing student design studio scheme, providing you with valuable experience and placement opportunities. In addition to this is a placement module that guarantees all students an opportunity to experience “real world” learning. We also offer national and international study trips where appropriate. Assessment is 100% coursework based including practical production and oral presentation work, along with written assignments. In the final year, you’ll have the opportunity to write an extended essay on a subject of your choice and work on self-negotiated and independent creative projects. Employable Graduates – we’re ranked 15th highest amongst all UK universities and 12th for English institutions with 96% of graduates in work or further study within six months of completing their degree: HESA 2016. The course incorporates enterprise and entrepreneurship providing essential support for individuals wishing to start up a business.